Corporate Wellness Programs aim to lower the costs of obesity to employers! Obesity is at an all time high and projected to increase to half of our population by 2030! It is our nations' most widespread and rapidly growing health crisis! The cost to employers is huge! The annual healthcare cost of obesity is estimated to be 147 billion dollars a year. Obesity related medical expenses account for nearly 10% of US health care costs. Medical spending for obese people is 42% higher than normal weight people. Obesity costs US businesses more than $13 billion per year due to health insurance claims, paid sick leave, and disability and life insurance. LIFESTYLE SOLUTIONS is a Seattle, Washington area business that seeks to promote health and wellness by educating employees about Healthy Diet Habits! We want to put a halt to the increasing obesity epidemic and decrease your health claims! 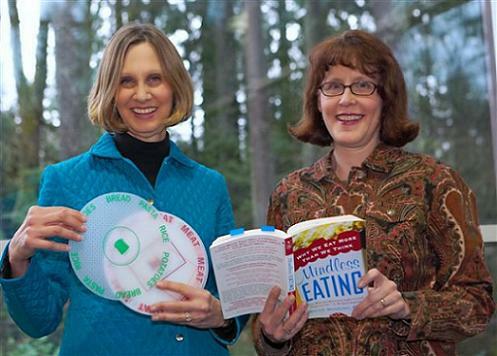 We address everything from emotional and mindless eating, to healthy eating and habits, in our seminars and classes! Our goal is to be practical and offer tips for success! 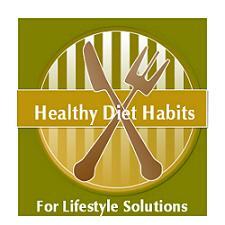 It is not about dieting, but looking at your history and figuring out lifestyle solutions! Lunch hour classes on different topics related to weight control. See detailed Class information. Lunch hour courses designed to fit your schedule and needs! The courses can range from 4 weeks to 12 weeks. Private counseling for those employees that need extra help, tips, and encouragement! It was all great, loved the combo of behavior and nutrition lessons. It was at lunch time and free for employees-loved it. Great job. Have more of these on different days of the week. Can this be an ongoing group/class? Loved both instructors! Thank you! Loved it-great job-just need more. Six weeks went by so fast! I feel so much more positive and in control of my life because of the information I've gained in this class. I wish we could meet every week for support and new ideas. This has changed my life and will continue to do so. I would love to see more of this type of program for employees. Kerry has worked hard in 2011, to set up the Healthy Diet Habits website as a support resource for class students to use. There are 300+ pages so far, and more pages are being added daily! Kerry set up a Healthy Diet Habits Facebook page in 2011, that offers lots of daily tips, recipes, discussions, and helpful information shared - Over 1,300 followers so far! Over 420+ followers so far! We love helping employees to make changes! Please contact us if you would like to talk about scheduling any Corporate Wellness classes in the future!